The LASIK surgeons at Stahl eye care experts are happy to announce the addition of the iDesign wavefront analyzer from AMO-VISX to our Long Island LASIK practice. The iDesign wavefront analyzers from AMO-VISX provide the most accurate wavefront measurements of any device available for LASIK eye surgery. In addition, in combination with the AMO-VISX Star S4 IR excimer laser system, it is possible to not only accurately measure but to precisely treat higher order aberrations. Wavefront technology has been around for quite awhile and was initially approved in 2002 as a technological advancement in laser vision correction. The wavefront measurements can be used to treat higher order aberrations such as visual defects from night driving. The issue of glare and halos during night driving were many of the early complaints of the first LASIK patients. When measuring pre-existing visual aberrations prior to surgery our practice can create a more precise LASIK experience. Before the use of wavefront technology in laser vision correction only lower order aberrations were measured. These lower order aberrations were nearsightedness, farsightedness and astigmatism. So although these vision disorders were responsible for blurred vision they were not single handedly the sole cause. It was the contributions of the higher order aberrations that made up the entire issue. What Does the iDesign Wavefront Technology Do? 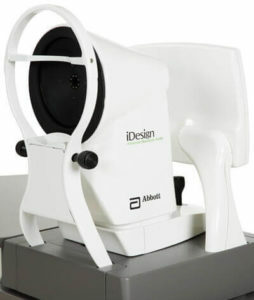 The iDesign system uses advanced wavefront sensing technology to measure and map eyes with aberrations. 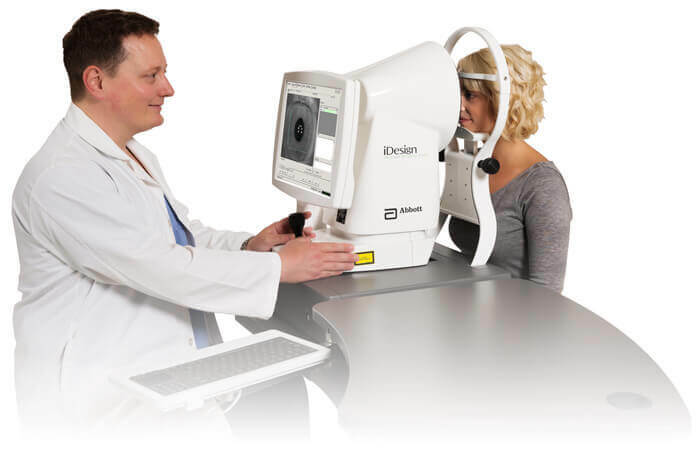 The iDesign allows our LASIK doctors at Stahl Eye Care Experts to take microscopically precise measurements of the eye with greatly increased resolution. These hi-res measurements provide details that improve the ability to measure ocular aberrations with accuracy, precision and greater dynamic range.